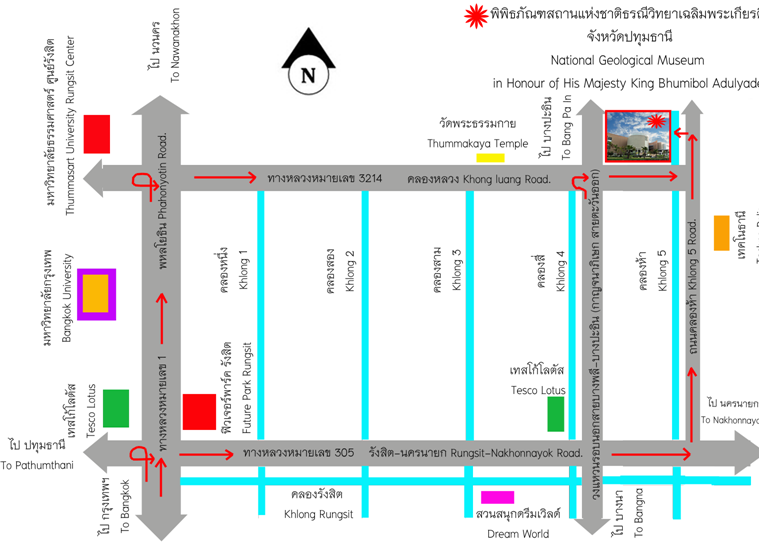 National Geological Museum is one of twelve projects according to establishment plan for the institute of art, culture and science to commemorate His Majesty the King�s Golden Jubilee. 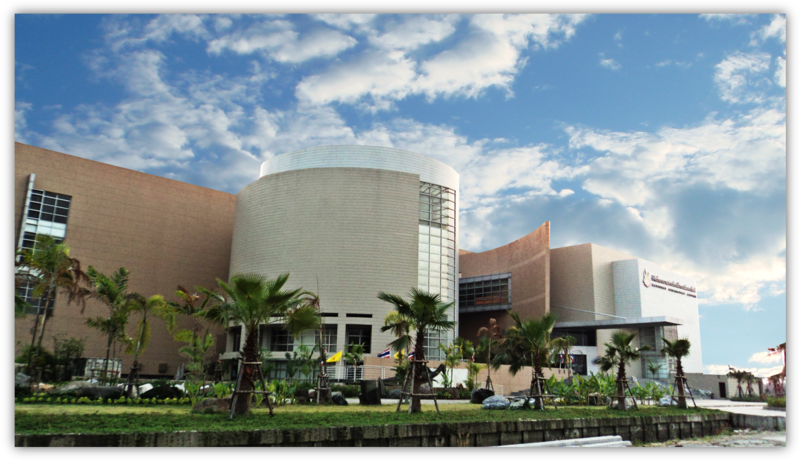 The museum serves as a learning center and tourism attraction for the general public. 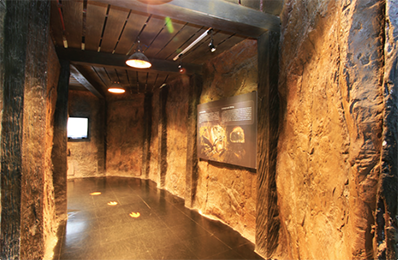 Highlights of the museum are dinosaur models and fossils exhibition with multimedia and lighting artistry. 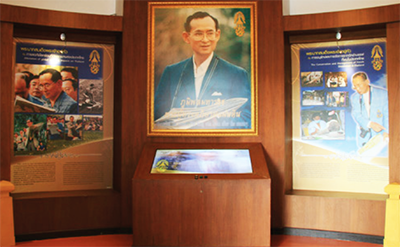 His Majesty the King Bhumibol Adulyadej designated Her Royal Highness Princess Chulabhorn to open the National Geological Museum and the museum is officially opened to public on 26 October, 2012. The museum composed of 4 floor building with a space of 14,000 square meters in the 2 acres of land. The museum has a 400-seat auditorium room, one executive meeting room, together with a temporary exhibition hall, library, souvenir shop, and canteen. Outside of the museum there are spaces for a rock and dinopark�s parking lot. The first exhibition room on the second floor is the exhibition in honour of His Majesty the King�s geological projects and background of Department of Mineral Resources. 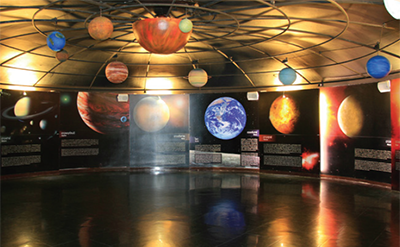 The next room displays geology and universe in a circle room with the presentation of planetarium, the development of the Earth, the Earth�s composition, plate tectonic, rock and rock cycle, geological structures, geological process, evolution of life, geological exploration and geology of Thailand. The exhibitions include the geological attractions in Thailand, environment and topography in the past, rock location in various period, and fossils. Landform room presents the environment simulation while landscape, dinosaur fossil exhibition provides the information of the Late Triassic Period 225 million years ago, a time when the continents (Pangaea) existed. In the animal world have evolved continuously up to 160 million years, until it went extinct in the Late Cretaceous Period 65 million years ago and it is believed that birds and crocodiles are the descendants of dinosaurs still alive nowaday. Prehistoric Park are also highlights of the museum, visitors can see a different species of dinosaur models along the sidewalk. Moving dinosaur models discovered in Thailand, Ancient trees, and Mesozoic era environment simulations are must-see displays. Mineral resources exhibition on the third floor features the integration origin of minerals, mineral testing, physical properties, chemical properties, classification of mineral type, mineral exploration, rocks, and mining zone exhibits all types of mining process. Earthquake simulation gives the visitors the experience of 1 - 9 richter, building models provide the idea of the design concept. Walking through the mini theatre room, the visitors can view geohazard images in Thailand such as landslide, earthquake, flood, volcanic eruption, sinkhole, and tsunami. Natural fuel and groundwater exhibition is located on the fourth floor, features natural gas, petroleum and oil shale, to raise awareness of the sustainable fuel consumption. 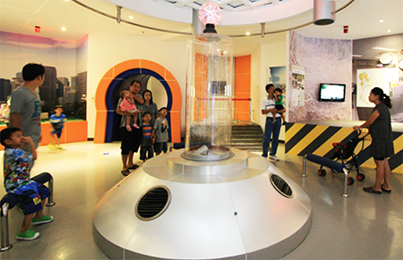 Visitors can find different types of the alternative energy in this room. 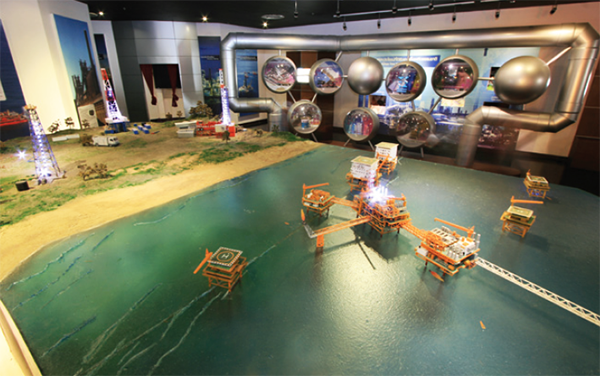 Groundwater exploration and consumption models display in the exhibition room along with the samples of the hand pump. except on public holidays which fall on Saturday and Sunday.